The suspension of Uber's licence in Sheffield has been lifted by the city council. The council has lifted the suspension following "productive discussions" and "satisfactory replies". Uber said: "We look forward to continuing to serve tens of thousands of riders and drivers in Sheffield." 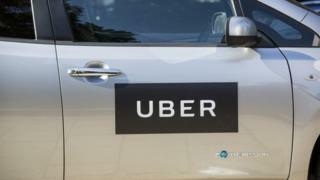 In September, Transport for London decided it would not renew Uber's licence because of the firm's record over reporting criminal offences and carrying out driver background checks. The company also had its licence suspended in York after taxi drivers complained the city had become "overwhelmed" with Uber drivers. City of York Council also said its concerns about a huge data breach - which Uber concealed from customers - had been a factor in the decision.